Honda Activa manufactured by Honda Two Wheeler Company, is responsible for reviewing and revolutionizing the scooter segment in India. 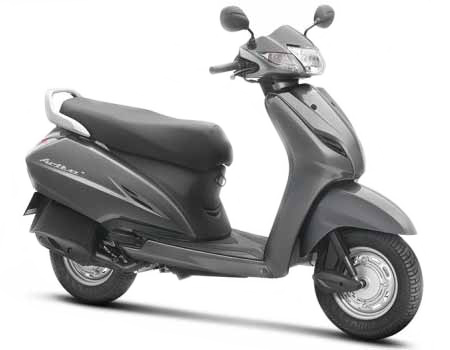 Currently in its 3rd generation, the Activa is sold in three iterations: Activa-i, Activa 125, and Activa 3G. Activa beats all the rivals with 50 Kmpl mileage with Honda Eco Technology. It is a seamless combination of practicality and usability, packed under a pleasantly designed architecture. Over the years, the Activa has got several minor design and performance tweaks. It is a very good blend of comfort, efficiency and performance. This series of motorcycle has three models with each having their versions. This series has 3 models with each having different version. Vehicle is used for Hire or Reward carriage of goods, organized.